We will be honored to have your participation at the conference, please kindly avail your participation by submitting the abstract at: http://2019.iceo-si.org.tw/home/paper-submission. For more details of the conference, please go to: http://2019.iceo-si.org.tw/home. Please use this occasion to share your scientific excellences and be a part of this esteemed conference. 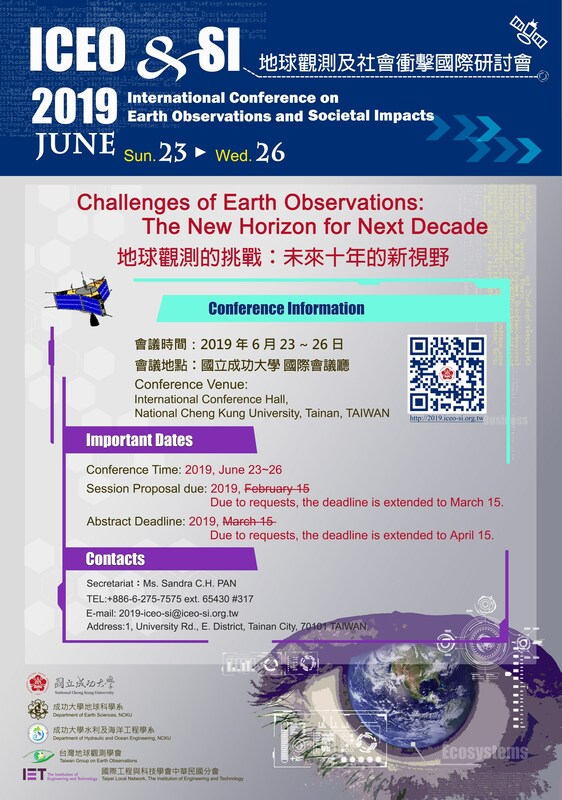 學會一年一度盛會-International Conference on Earth Observations and Societal Impacts 2019 (ICEO&SI 2019) 地球觀測暨社會衝擊國際研討會，已開放註冊報名及投稿!